You may remember back in May I did a post all about building my perfect wardrobe, you can see that post here. I begun adding in items of clothing that were what I felt a lot more comfortable in and to be honest I have noticed a big difference I actually look forward to going into my wardrobe and picking different outfits out instead of dreading picking an outfit that I wouldn't feel good in or would be feeling fat in. Last week involved payday which meant I was able to head out and pick up a few more bits to add to the wardrobe, here is what I got. 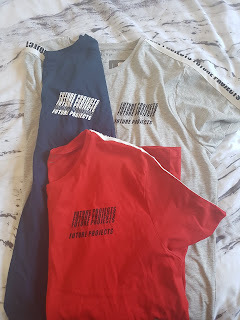 In Primark I picked up 3 of these future projects t-shirts. I absolutely loved the fit of the one I tried on and picked it up in every colour. These are only £8 and actually look like some other more expensive items you can pick up in the likes of Footasylum. These t-shirts are really soft and are very simple with just the logo in the corner and going down the sleeves. They are perfect for this weather we have been having recently. Also from Primark I picked up this Future hoodie. I got this just to throw on with some skinny jeans with a long line t-shirt under when I finally get some. I love the big print on the front and just the checker board print on one sleeve. I am loving the checker board print lately. I also think this will look good under a lightweight jacket or a nice denim jacket when I finally find a nice one. 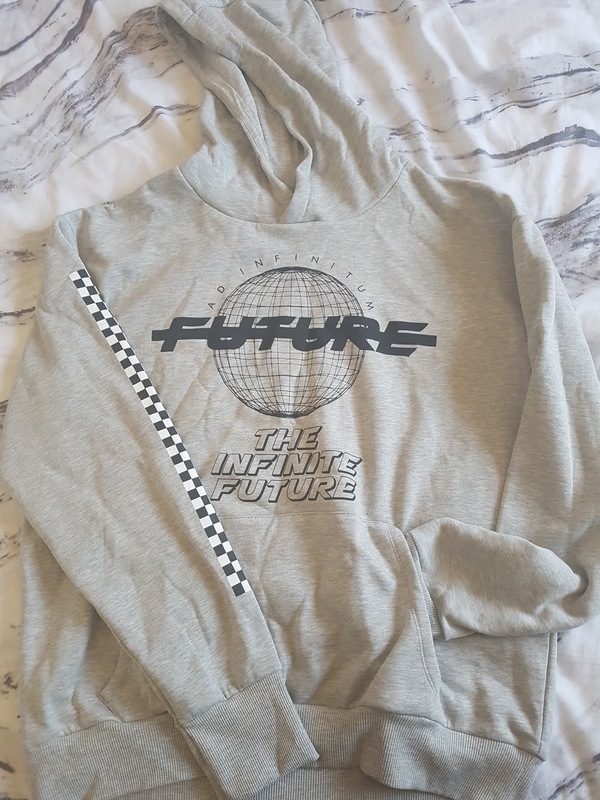 To say it was only £10 it is a really nice fit as I got it a little oversized. My trusty Star Wars backpack has finally given in. I realised when I put my keys in and they fell straight through. 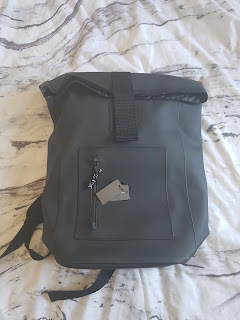 I picked up this black backpack for £12 from Primark, it is a little larger than my other bags but it is perfect as I can fit everything in. It also looks a lot smarter than having Darth Vader prints all over it. I won't go into it too much though as I have an updated what's in my bag coming up soon. I mentioned in my wish list post (you can read it here) the other day that I was after a lightweight jacket for in case I got caught in the rain whilst out shopping or walking to work. 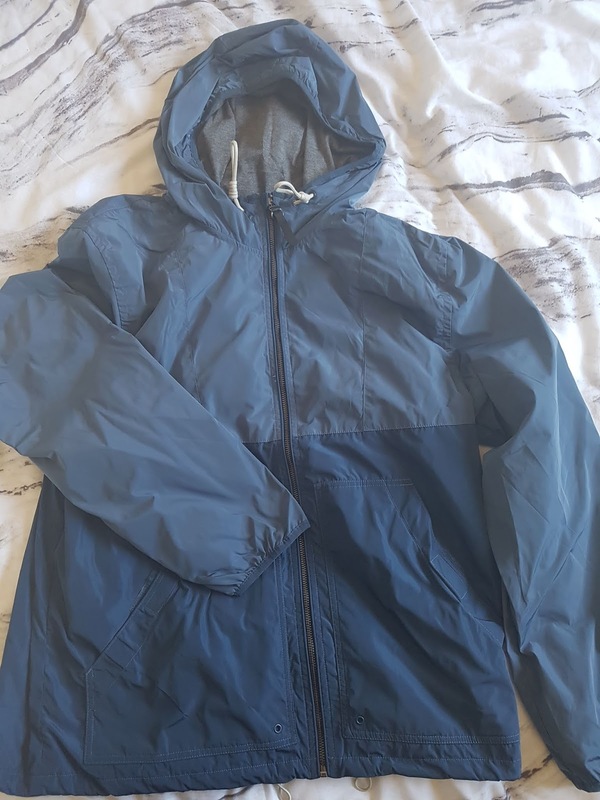 I managed to get the exact jacket I wanted from Primark for just £12. I went up a size on this too as it now means I can layer it with a hoodie. I love how instead of a drawstring on the hood it just has a little bit of elastic. The colour go really well together. I could have got a darker one but I think it is about time I got some lighter clothing for a change. 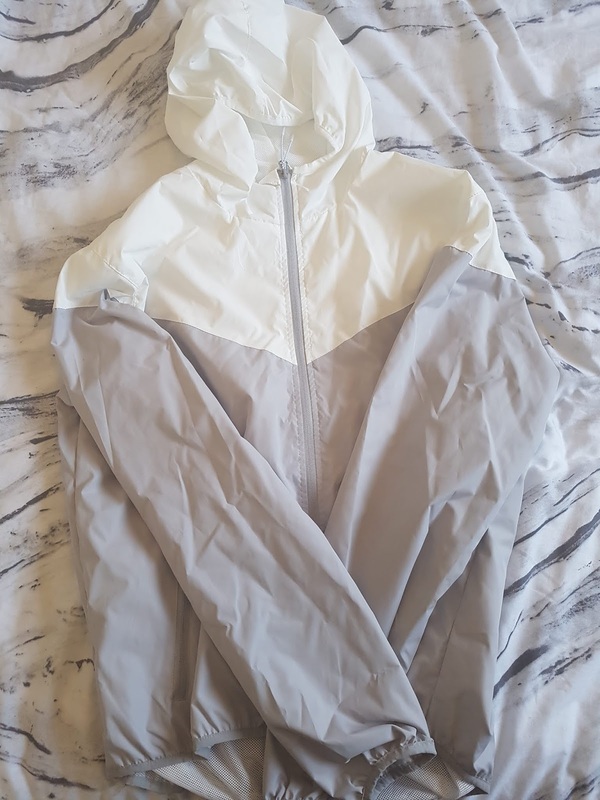 I then went to the H&M sales and got this contrast jacket in the sale. It was originally £34.99 but I picked it up for just £10. It is a little thicker than my Primark one, and has a nice jersey lining with a little inside pocket. The actual pockets are also Velcro meaning I shouldn't keep loosing items like I usually do. The hood is similar to the Primark on and the bottom is also elasticated, I am really hoping it keeps me dry. I spent £70 on an Adidas on a few years ago and that wasn't waterproof at all so let see if a cheaper jacket does a better job. At least now I have a few options on what to wear. So there you have it that is what I have recently added to my wardrobe which is slowly growing. Can you recommend any shops or items I should get? Let me know.